I was excited to sail today because we took along my friend, Matthew, from school. We had a fun time sitting on the very bow of the boat and sitting on the side and letting our feet skim the top of the water. It was a blast when the wake from a fast motorboat hit our boat and the water went up to our thighs. I love climbing the mast even though I'm not allowed to go to the top yet. 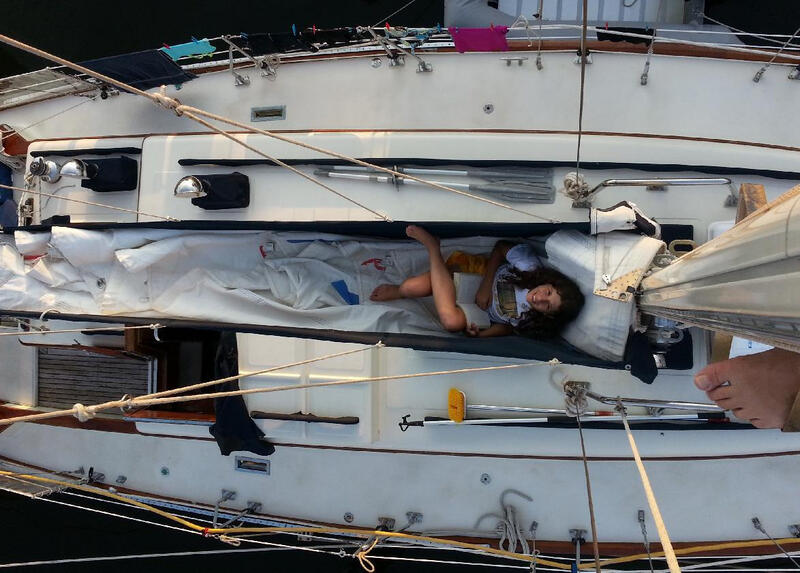 I discovered a great new spot on the boat today; I can sit in the stack pack on the furled mainsail. It's a cozy place to read or sit and relax. Matthew thought sailing was amazing and wanted to do it again soon. It's fun sailing with other people, and I can't wait to have someone else over soon. I love sailing and can’t believe we're going to do it for a year. I can’t wait to be in the Caribbean. It’s been so fun today! Everything in this entry is true. I know because I, the Matthew Nicole speaks of, is writting this comment. I anyone reads this that I reccomend that you go sailing some time it is a blast.